Why is Buying a Home With Southern Exposure Important in Interior Alaska? Many of our buyers look at homes in the hills surrounding Fairbanks because of the view, those areas tend to stay warmer in the winter and they offer a quieter setting. Most people look in the summer and wonder how the short days of winter will look like when the sun barely creeps above the horizon. 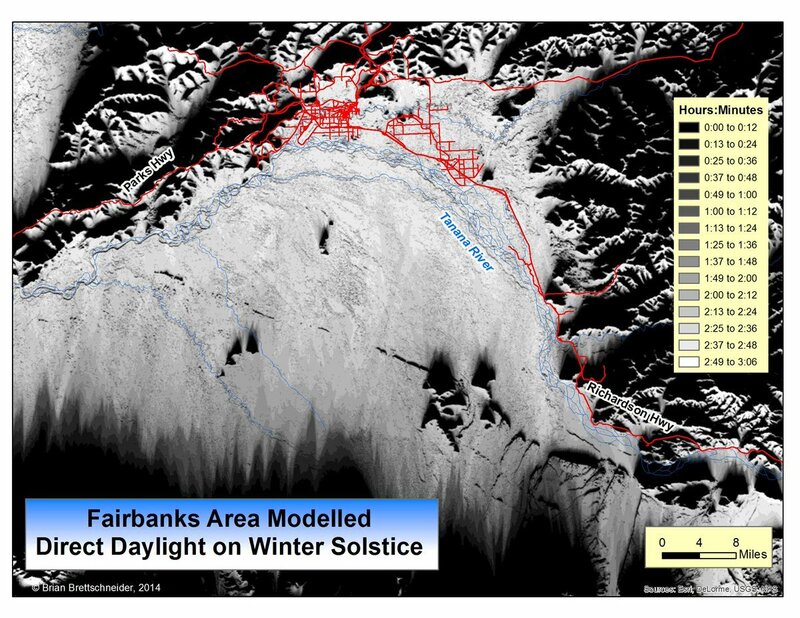 Anchorage climatologist Brian Brettschneider decided to model this with aerial imagery and theoretical sun angle. Surprisingly, there is a significant area around that doesn't get any direct sunlight at all on the solstice. This really illustrates the value of the southern exposure and you'd be surprised how much difference a few hours of direct sunlight makes in December and January. Don't hesitate to reach out so we can help you find that perfect home with southern exposure!